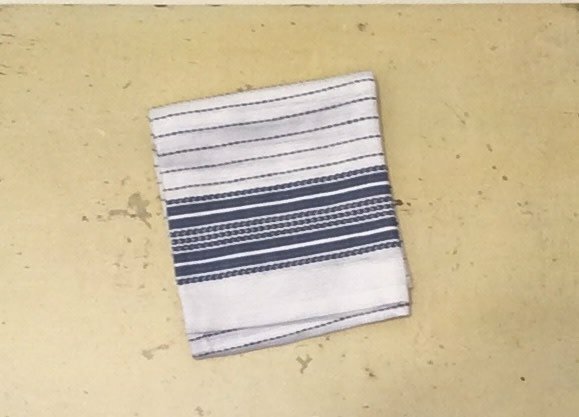 Pickstitch Kitchen Towel, 20" x 30", Blue Border - Springfield Mercantile Co.
With their detailed, dobby-woven stripes, our kitchen towels prove that useful and beautiful can go hand-in-hand. Loomed of pure organic cotton, free of chemical finishes and fabric softeners, they're exceptionally absorbent and gentle on dishware. 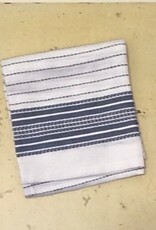 They're lovely enough to use as dinner napkins, and their yarn-dyed colors will hold up wash after wash.